“I trusted Cord to get it done right and they did. I was also surprised at their team’s enthusiasm for my business and my new building. During construction, the Cord team would often call me over to look at something because they thought it was so cool. It was very evident that they really cared about their work and my work. Over the years, All World Machinery had several locations – the first being a spare room in the founder’s house. 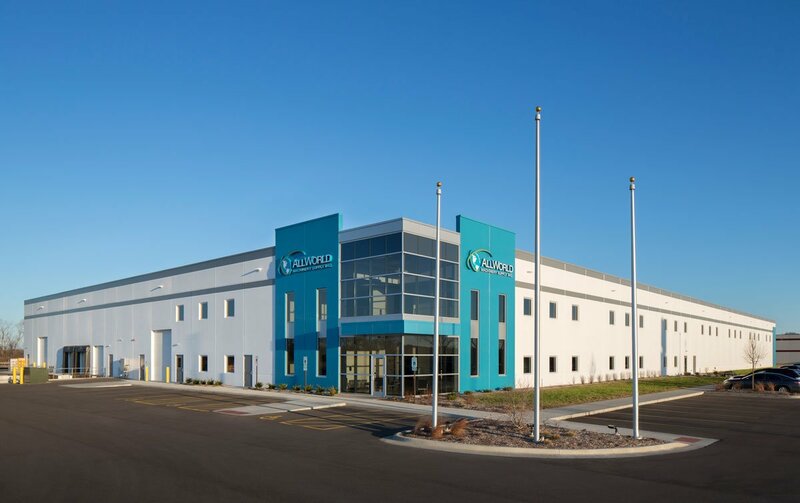 As the company, a supplier of machine tool parts and service grew into a $20 million business, it was time to stop moving and build a headquarters and manufacturing facility that met their needs now and in the future. Originally the play was to build a 40,000 square foot building. As plans got underway, it was determined that All World could use an additional 50,000 square feet almost immediately. We reworked the plans, configuring the timeline to a Phase 1 (the original 40,000 square feet) and Phase 2 (the additional 50,000 square feet). The new plans included increasing the floor thickness to nine inches to handle the heavy machinery and making sure Phase 1 was completed on time and on budget so All World employees could move in while Phase 2 construction was underway. We accomplished this and All World lost no business and no time. When taking on a design-build project communication is critical We made sure communication lines stayed open and when All World came to us with a wishlist, we provided options and ways to maximize design, layout and functionality, all while staying within budget. For example, we incorporated precast walls in the structure’s design so All World could add on in the future in a way that was more cost-effective. A project built on trust and communication, led to a building that ensures All World’s future as a leader in the machine tool supply and service industry.